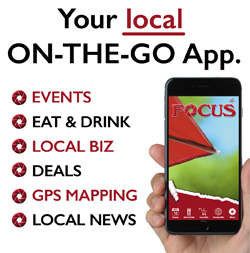 Home » News » Local News » FOCUS Seeks Models For Its May 23 Swimsuit & Summer Guide Issue! Enter By April 12! FOCUS Seeks Models For Its May 23 Swimsuit & Summer Guide Issue! Enter By April 12! Hickory – Celebrating 41 years in print this year, FOCUS announces its annual Swimsuit & Summer Guide issue, on the stands Thursday, May 23! The deadline to submit a photo to be a swimsuit model in FOCUS’ 2019 Swimsuit/Summer Guide Issue is Friday, April 12th, at midnight. The contest is presented by Michelob Ultra and sponsored by Olde Hickory Brewery, Pixelated Perceptions and Hickory Community Theatre. Women and men of all types, sizes and ages over 18 are encouraged to submit a photograph and try for a chance to be a part of this famous issue of FOCUS. Email your photo—it can be just a clear cell phone photo, waist up, with a big smile on your face—to focusnews2@yahoo.com. Include your home, business and or cell phone number as well as your address. Please note you can enter on Facebook @FocusNewsNC. You will receive a response from FOCUS to confirm your entry. If you don’t receive a response within a day or two, please call the FOCUS office to let us know. All FOCUS models chosen to appear in the issue will be notified via email or telephone by the end of the day Monday, April 15th. Call FOCUS at 828-322-1036 for more information. See the ad on page 14 this week. If you were chosen to model for FOCUS in 2017 or before, feel free to enter again! Models chosen for 2018’s issue will have to wait a year to re-enter the contest. Feeling a little shy about posing in a swimsuit, but really want to enter? No worries, Hickory area professional photographer & Sponsor Spencer Huffman of Pixelated Perceptions will photograph our models for the Swimsuit/Summer Guide, and he’s a great man to work with. The models al ways say they have so much fun! The 17th Annual Hickory Hops beer festival will be held on April 27, 2019, from 1 till 6pm. The festival is organized by Hickory Downtown Development Association and hosted by Olde Hickory Brewery at 232 Government Ave. SW, Hickory, NC 28602. It offers plenty of fun for everyone, from inexperienced beer novices to hardened beer fest veterans anxious for something unusual. The festival will feature live music and will take place rain or shine. No one under 21 will be allowed to enter, including non-drinkers/designated drivers; no coolers, no children, and no pets please. Tickets to sample beers are $30 in advance, $40 at the gate. Tickets are on sale at Amos Howards Restaurant & Brew Pub, Olde Hickory Tap Room, Olde Hickory Station and online at www.hickoryhops.com. Designated driver tickets are $10. Hickory Hops is sponsored by R.H. Barringer, United Beverages, Focus Newspaper and First Security Insurance. We’re looking forward to seeing everyone! Hickory Community Theatre’s next production is The Curious Incident of the Dog in the Night-Time, by Simon Stephens, based on the book by Mark Haddon. It plays in the Jeffers Theatre through April 14. Fifteen-year-old Christopher is exceptionally intelligent but ill-equipped to interpret everyday life. When he’s suspected of killing his neighbor’s dog, his search for the real culprit leads to an earth-shattering discovery and a journey that will change his life forever. This play is rated R for strong, adult language. Remaining performances of The Curious Incident of the Dog in the Night-Time are April 4 through April 14, 2019, Fridays and Saturdays (Apr 5, 6, 12 & 13) at 8:00pm, Thursdays (Apr 4 & 11) at 7:30pm and Sundays (Apr 7 & 14) at 2:30pm. Tickets for Fridays through Sundays are $18 for adults, $16 for seniors (60 and over), and $10 for students and youth 18 and under. Tickets for Thursday night performances are $14 for adults and $10 for students and youth 18 and under. 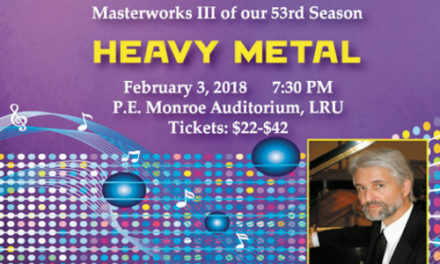 Call the box office at 828-328-2283 or visit hickorytheatre.org to purchase tickets or get more information. Model photographs may also be mailed to Focus Contest, P.O. Box 1721, Hickory, NC, 28603. FOCUS’ Summer Guide is a handy reference for things to do & see – festivals, historic sites, amusement parks, conventions, all within a day’s drive of Western North Carolina. Be sure to pick up this issue on May 23rd to plan a great summer!